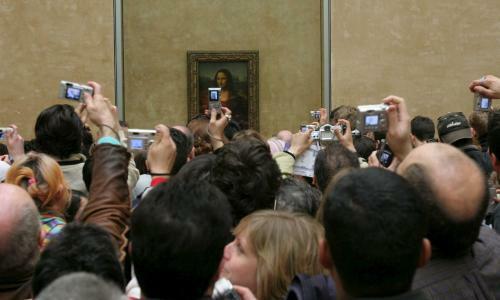 Of all the world’s enigmatic works of art, it is probably the Mona Lisa that people are the most curious about. And indeed, it is hard to imagine why a 77x53cm painting on a piece of wood might be worth more than double the £340m paid for Leonardo da Vinci’s Salvator Mundi last year. So – why is she worth so much? Why is she so famous? Why is she smiling? There are answers – but they only tell you so much. The portrait of Jesus Christ, Salvator Mundi, was recently confirmed to be a da Vinci that had been thought to be destroyed. It's not clear where the painting was, exactly, for more than a century.